Muscadet is an important Loire appellation, accounting for approximately 20 percent of the region's total plantings, almost exclusively of Melon de Bourgogne – a grape imported into the Pay Nantais coastal region during the 17th century by Dutch merchants, as distilling material for their schnapps. 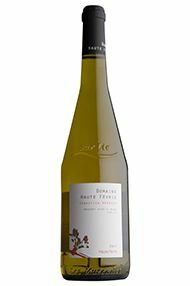 Qualitatively and quantitatively the key AOC is Sèvre-et-Maine, occupying the granitic soils between these two tributaries, and producing – in the right hands – tangy, sea-breezy, light, dry white wines with a distinct Atlantic zing (and a maximum ABV of 12 percent). Melon is also grown elsewhere on schistous and clay soils, imparting a richer if less distinctive character. Those labelled ‘sur lie’ have been left on their lees for up to six months over winter to give the wines extra body and complexity. Château du Cléray and Domaine de la Jousselinière are both good sources.